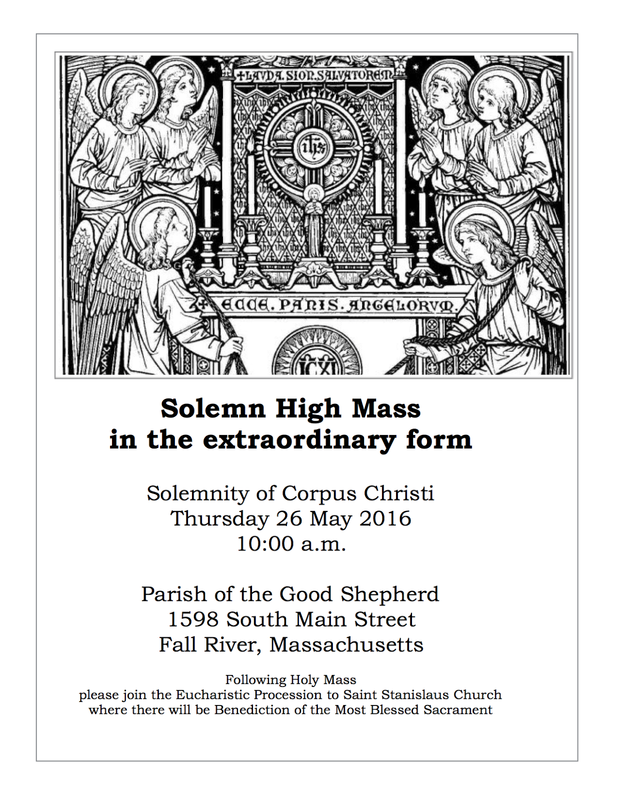 The Catholic faithful in southeastern Massachusetts will have two opportunities of celebrating the Feast of Corpus Christi in the older, traditional Roman Rite. Solemn Mass will be offered at Good Shepherd Parish (St. Patrick's Church) in Fall River on Thursday, May 26th (see above). On Sunday, May 29th, at St. Francis Xavier Parish in Hyannis, Solemn Mass for the External Solemnity of Corpus Christi will be offered at 1:00 p.m. Both Masses will be followed by a Eucharistic Procession.